← Ketubah Timeline! How Long Does My Order Take? 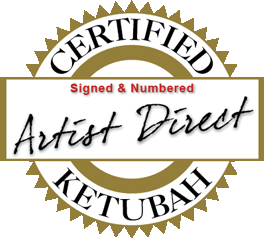 We have been honored to have been invited to join the Artist Direct initiative from Ketubah-Gallery.com . They have invited a select number of Ketubah artists to be featured as artists who create their own ketubah individually for each couple. Thank you, Ketubah Gallery, for noticing us! We love you!